Nicole is the author of Turnskin, an interesting tale that I reviewed not too long ago. Additional thanks goes to her for taking the time out of her day to do this interview. Thanks for doing this interview. First, can you tell us a bit about yourself? What drew you into authorhood and why fantasy? I started writing stories to impress this girl I was into. It worked a little too well since once I got the girl I had to continue to produce more and better stories. As for fantasy, I’ve just always liked it. I was one of those kids who had a lightsaber and a first edition box of Dungeons & Dragons. What have been some of your influences as a writer? What are some of your favorite books, whether fantasy or otherwise? Turnskin is a curious love story that crosses multiple forbidden boundaries: non-human/human, Romeo/Juliet, etc. What do you think is so captivating for readers when it comes to forbidden love stories? Beats me. 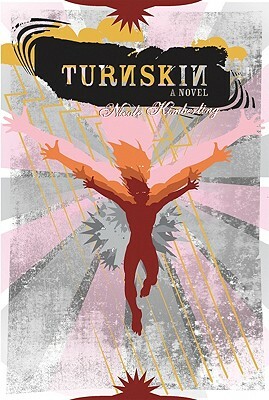 Really I never thought of Turnskin as a forbidden love story so much as a coming of age story. Because the love of Tom & Cloud isn’t really forbidden so much as it’s a bad idea for both of them. I think that’s different than being something like a societal taboo. Where did you come up with the idea for the shifters? Will we find out anything more about Tom’s genetic past, or is this the last we will hear from him and the other characters? I came up with the shifters during a conversation with Ginn Hale. It’s actually impossible for a writer to have a conversation with her for more than five minutes without coming up with an idea. She’s like a force for creativity and it rubs off if you stand close to her for very long. I have no plans to revisit Tom’s world at present. It was invented specifically to tell this story so I don’t really know what else I would write about it. Is Turnskin set anywhere we might know (as in an alternate version of a place that might be familiar to readers) or is this a completely separate world? It’s a completely separate world, based directly on nowhere. Lesbian and gay speculative fiction seem to be taking off in the last few years, and while Turnskin turns the lesbian/gay theme on its head using “alien” figures, it is still, ultimately, a story about people struggling with their identities. Where do you see LGBT speculative fiction going in the relatively near future? I don’t really know if lesbian spec fic could be described as “taking off” but gay spec fic sales have definitely increased, fueled by the rise of the m/m romance reader. As for the future of the whole genre, there is really no way to know. What are some advantages, in your opinion, of being published with a small press? Personal care and attention from the editor and from the publisher. What other projects do you have coming up and can you tell us a little about them? Samhain has just released a short novel of mine called Ghost Star Night. I think I just have to give the blurb, because it’s really hard to sum up. “Thomas Myrdin has been used and betrayed by his king. But his heartbreak troubles him less than the apocalyptic visions that have begun to haunt him; the world burns in ruins and at the center of the destruction is the king’s newborn daughter. As vengeance and visions waken a power deep within him, not even Thomas knows if he’s becoming the kingdom’s salvation or its destruction. Lord Adam Wexley harbors a secret longing for Thomas, but his duty is to protect the newborn princess. When a sudden threat arises Adam must procure the services of the Magician, Edwin Drake, even if it means sacrificing his own body and soul. Ghost Star Night is a lot more action-packed than Turnskin. It’s the piece I wrote directly after. I think I wanted to write something with more doing and less feeling. And, of course, I am part of the Hell Cop anthology series with Astrid Amara and Ginn Hale. Hell Cop is set in the shared world of Parmas City and it’s kind of an urban fantasy. Hell Cop 2 was released by Loose Id in June. In December I’ll release another, longer book with Samhain called Happy Snak. This is not an LGBT book, per se, unless you think hermaphroditic aliens qualify as an LGBT element (which I do, actually). What unusual piece of writing advice would you give to budding writers? Try to have interests other than writing. I mean, you’ve got to have something to write about, right? Get another hobby or a different day job. It will help you survive things like barbecues and cocktail parties as well by giving you something to talk about other than your own novels. Now for a random question: If you could try any bizarre delicacy (by Western standards), from anywhere in the world, what would you try and why? You know I’ve tried a lot of bizarre delicacies in my time. Right now what I’d most like to try is the the food at Ferran Adria’s restaurant, El Bulli. I had some molecular gastronomist fare at Wylie Dufresne’s WD-50 in Manhattan and I have never had so much food that made me laugh and also think.